The Romney, Hythe & Dymchurch Railway Steam & Diesel Gala is fast approaching. 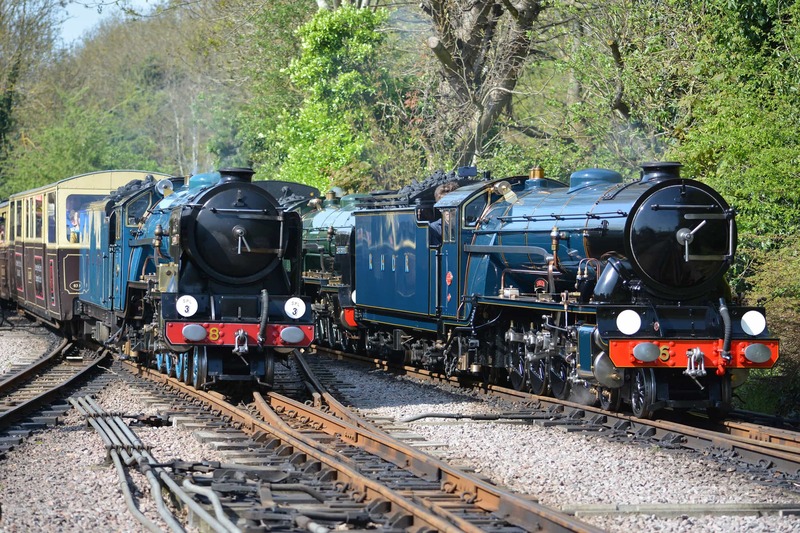 The RHDR Steam & Diesel gala is a highlight in many enthusiasts’ calendar. All available locomotives will be in operation during the days, this includes: No.2 ‘Northern Chief’, No.3 ‘Southern Maid’, No.4 ‘The Bug’, No.5 ‘Hercules’, No.6 ‘Samson’, No.8 ‘Hurricane’, No.9 ‘Winston Churchill’ & No.12 ‘J.B Snell’. The RHDR has a visitor confirmed for their gala. Ravenglass and Eskdale Railway’s ‘Whillan Beck’ also known as ‘The Train from Spain’ will be visiting the RHDR for their gala. This will be a rare opportunity as there will be two Kruss locomotives under the same roof, Whillan Beck & The Bug. Looking at the timetable for Saturday there are a number of interesting runs / movements, including a 21 mile non stop from New Romney via Dungeness to Hythe departing New Romney at 9.05am. Throughout the day visiting locomotive ‘Whillan Beck’ will be doing some shuttles from New Romney & Hythe. There are various 13.5 mile non stop runs from Dungeness & Hythe. There are also a couple of double headers. At the end of Saturday there will be a triple header with Whillan Beck heading the service. On Sunday’s Timetable the day starts off with a service to Dungeness with two or more locomotives hauling it including visitor ‘Whillan Beck’. The service will then continue to Hythe. The 10.00am from Dungeness will be hauled by ‘The Bug’ which will have limited accommodation. At New Romney another locomotive will join The Bug and it will continue to Hythe. The 10.07 from Hythe will be a 27 mile non stop via Dungeness. Whillan Beck will also be doing shuttles to & from Hythe to New Romney partly through the day. The main highlight of the day will be the parallel run from Hythe to New Romney departing Hythe at 4.35. More information on all of the RHDR Locomotives can be found on their website and the gala timetable on Facebook.